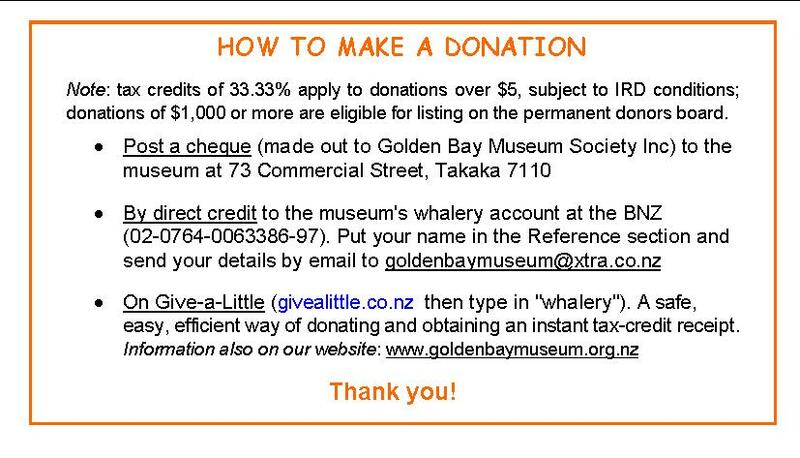 We have a wonderful opportunity to display a pilot whale from a Farewell Spit stranding, along with information about the whole marine ecosystem of Golden Bay/Mohua. It’s such an important part of our natural landscape, but we don’t understand it very well, apart from the beaches and Farewell Spit. Enclosing our front deck will allow us to do this and also provide better access to the museum, and protection for our inner displays. It’s a big exciting project to mark our 25th anniversary in October 2015. Be part of it.